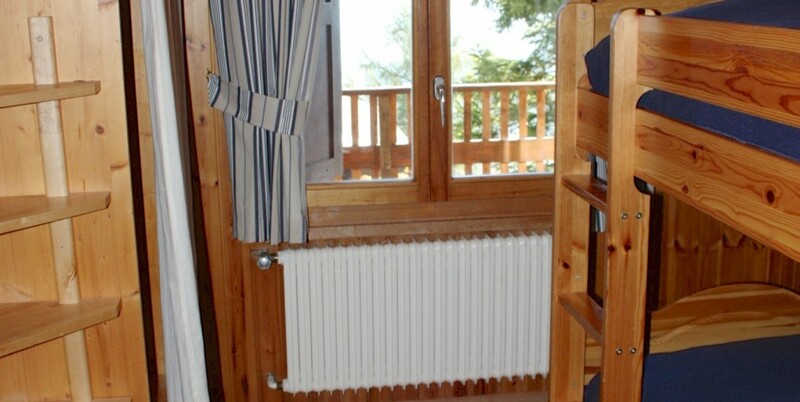 A slightly smaller bunk bed room on the 1st floor, with shared bathroom Dôme or Maimbre. A magnificent view over the Alps. 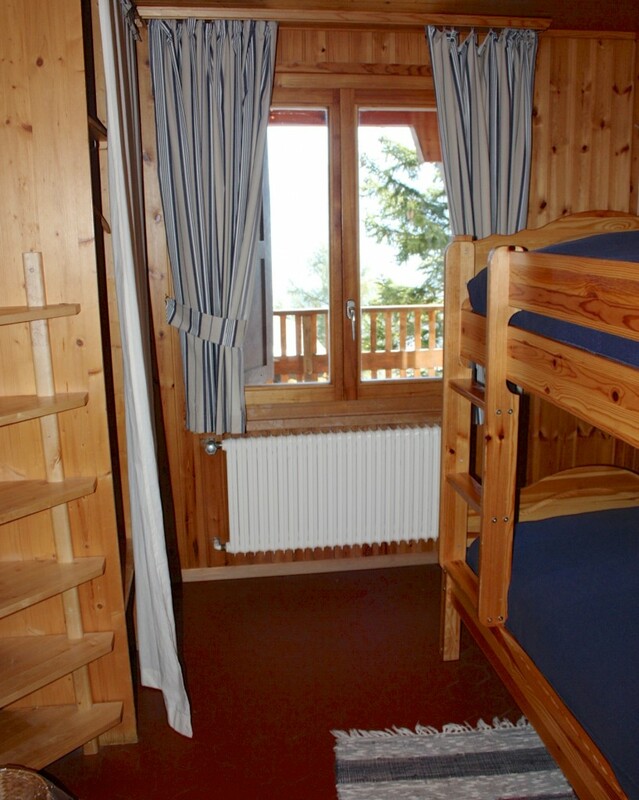 Decorated in in blue, traditional Alpine style, tiled floor & wooden walls. South facing.